Come and taste total gorgeousness in Rural Dorset!!! This is the place for lunch !!! Menus change seasonally throughout the year, produce is fresh and menus delightful. In summer a range of gorgeous salads, with locally cooked ham, lovely goats cheese, smoked mackerel etc etc and in the winter months choices of haddock, sausages and lots lots more. Our Sunday Lunches are a feast to behold…. Roast beef, Yorkshire puddings, roast potatoes and seven perfectly cooked seasonal vegetables, you really are in for a treat, all topped with delicious homemade gravy! And, if the beef isn’t to your taste we have lighter options with fish, or fabulous vegetarian options too ! 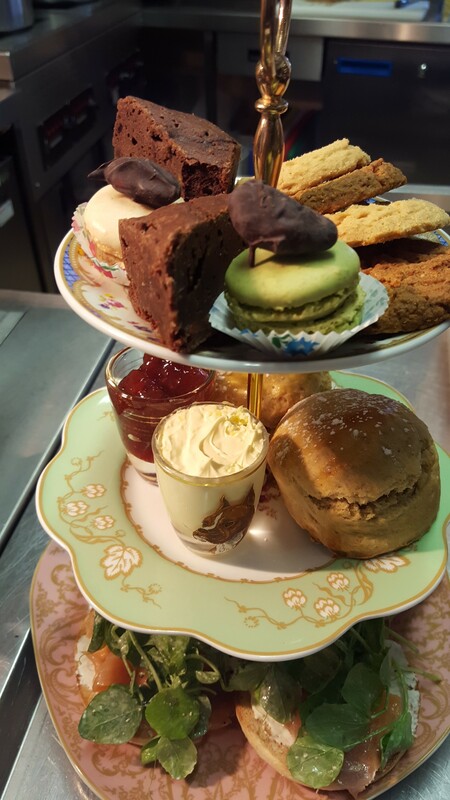 More than just tea served throughout the rest of the day…. you will find salmon and cream cheese muffins, lovely pasties and other lovelies served before 12 pm and after lunch, from 2.30 pm. 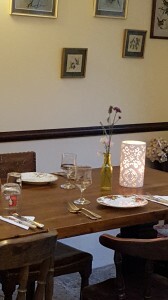 With Savoury Teas served along side Glorious Afternoon teas, Traditional Dorset Cream Teas and the less conventional Prohibition Tea with gin & tonic served in a teapot !!! There is certainly something for everyone. During the school holidays there is even a fabulous Chocolate Cream Tea with chocolate scones ! 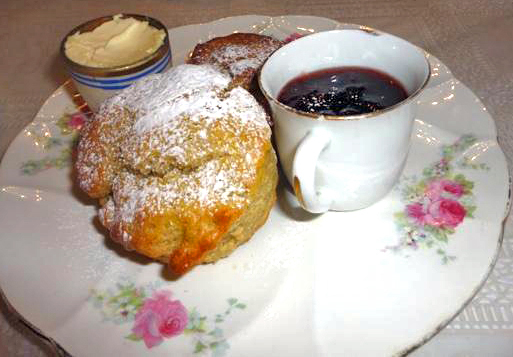 Our scones are baked by Karla on the premises using locally stone ground organic flour. We also have a range of locally made cakes available to choose from, including gluten free choices. “At the end of a 7.5 mile round walk this little gem of a tea room / restaurant is a welcome surprise. On a beautiful sunny October day we sat in the rear secluded garden and had the best Dorset cream tea we’ve had this holiday. Service was friendly and we were warned of a delay in the scones – to be rewarded by beautiful short pastries straight out of the oven! Free tea top ups were welcomed”.